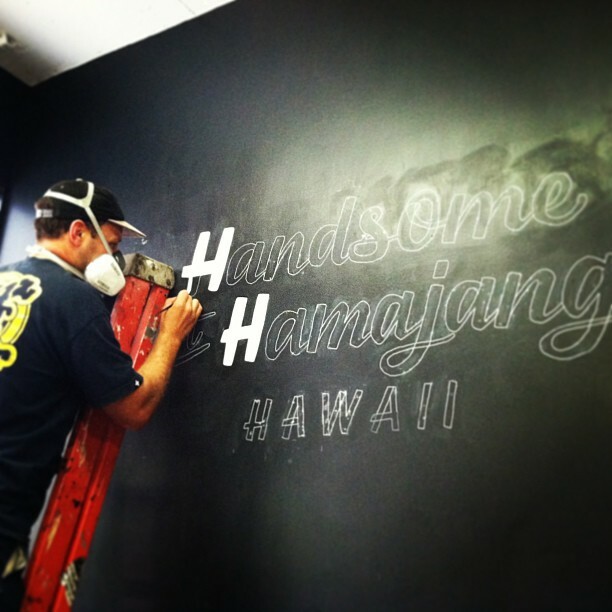 Working with Mojo Barbershop’s creative director Kalani Fujimori, I designed a mural for the shop using traditional brush lettering. 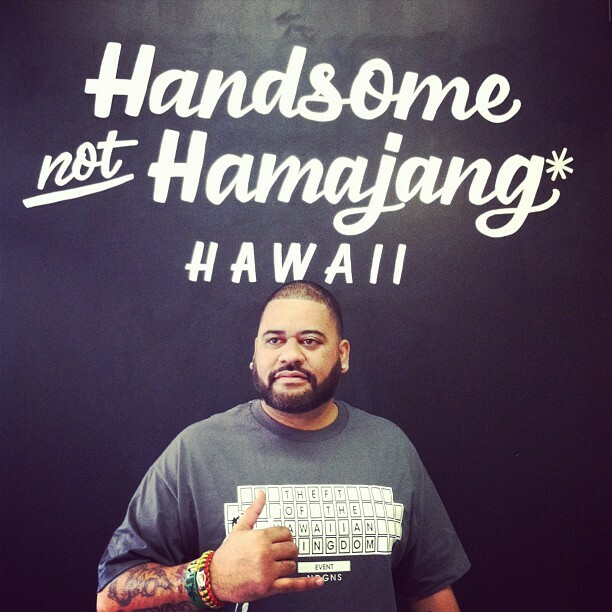 Mojo is Honolulu’s premiere barbershop, rooted in tradition and history but geared toward the modern day men of Hawaii. 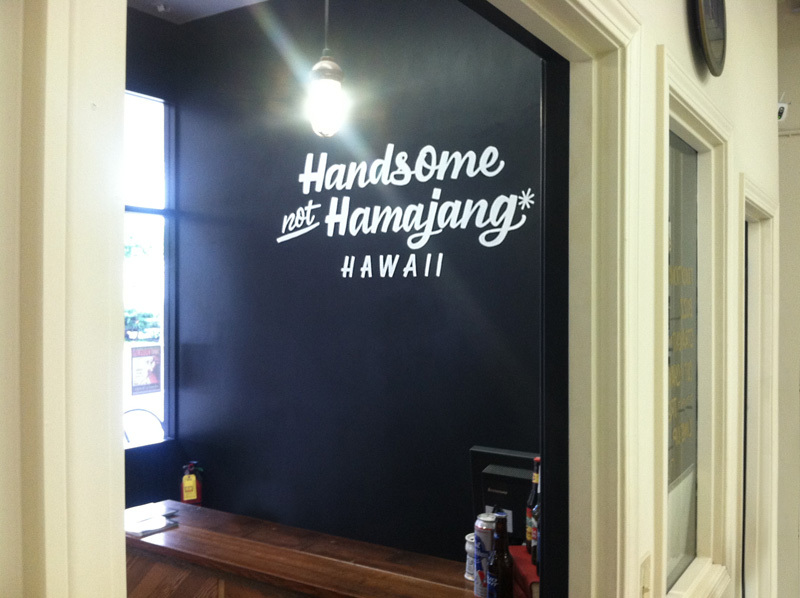 In Hawaii’s local slang, the word “Hamajang” basically means the opposite of handsome, so “Handsome not Hamajang” is a fitting mantra for this local barbershop. 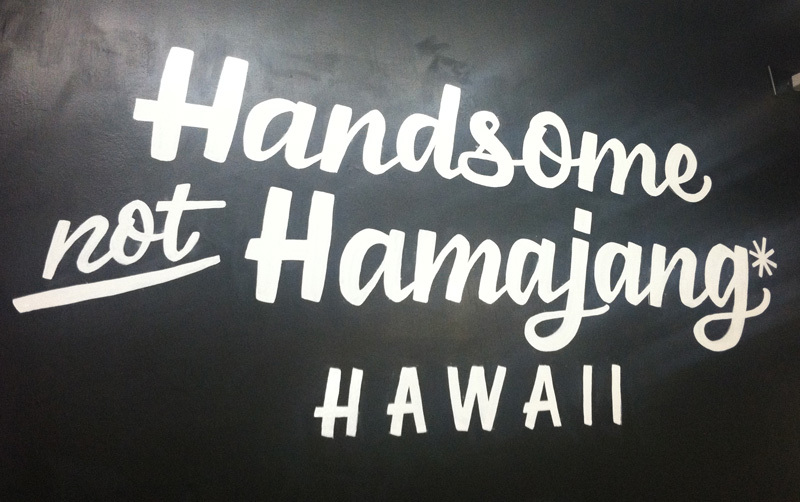 Mahalos to Marian, Matt, the Mojo ohana for your support, and to Kalani for bring me in on this project. Photos by Marian Lee and CJ Dunn.